Heavy duty platform turntable truck with pneumatic tyres for easy transportation of heavy loads over a variety of floor surfaces. The ergonomic pull handle is connected to the front steering wheels allowing the truck to be pulled in and steered accurately. 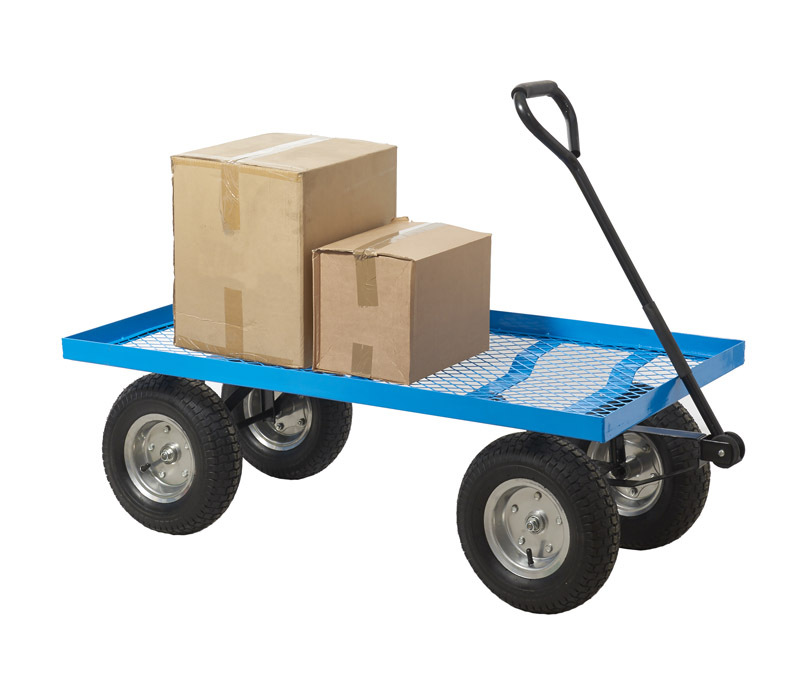 The large diamond shaped mesh deck and sturdy wheels and tyres help to spread loads of up to 400kg.